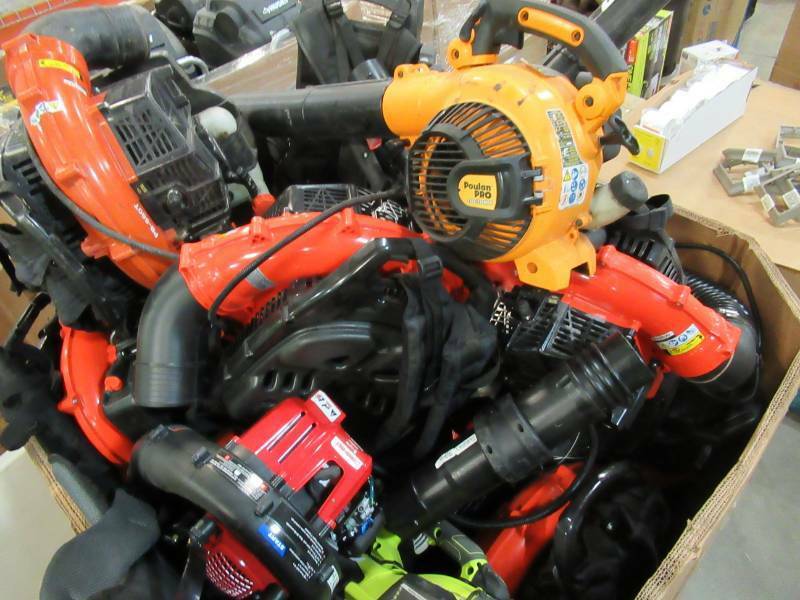 WHOLESALE/SALVAGE PALLET OF RETURNS - LEAF BLOWERS. 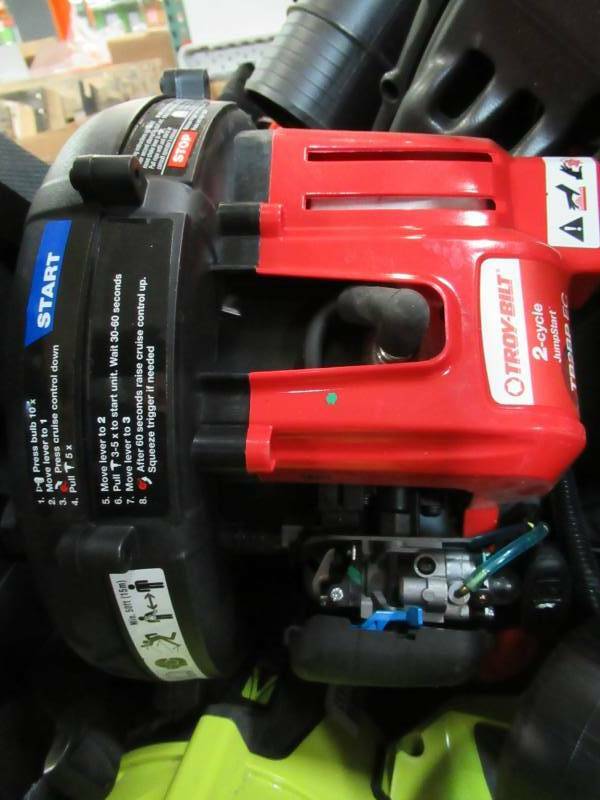 This wholesale pallet consists of brand names such as ECHO, TROY BILT, RYOBI and MORE! 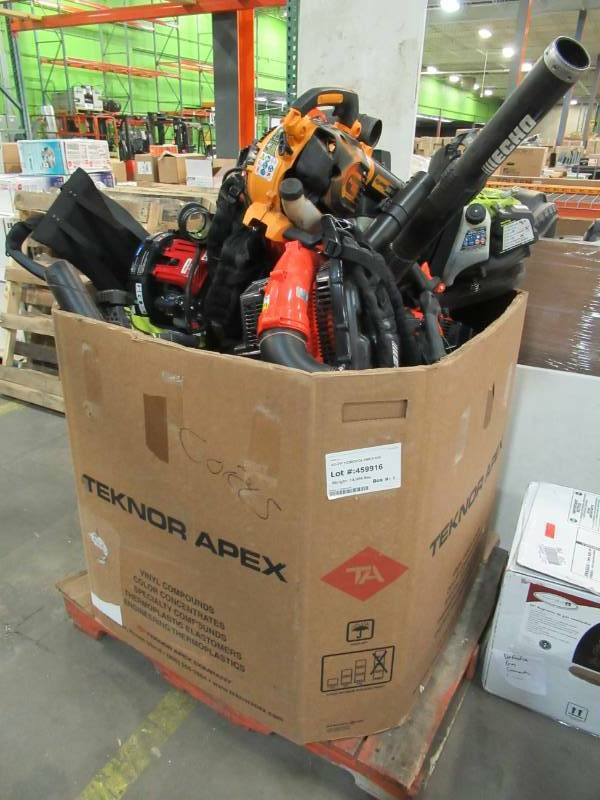 These are retail returns from big box home improvement stores. 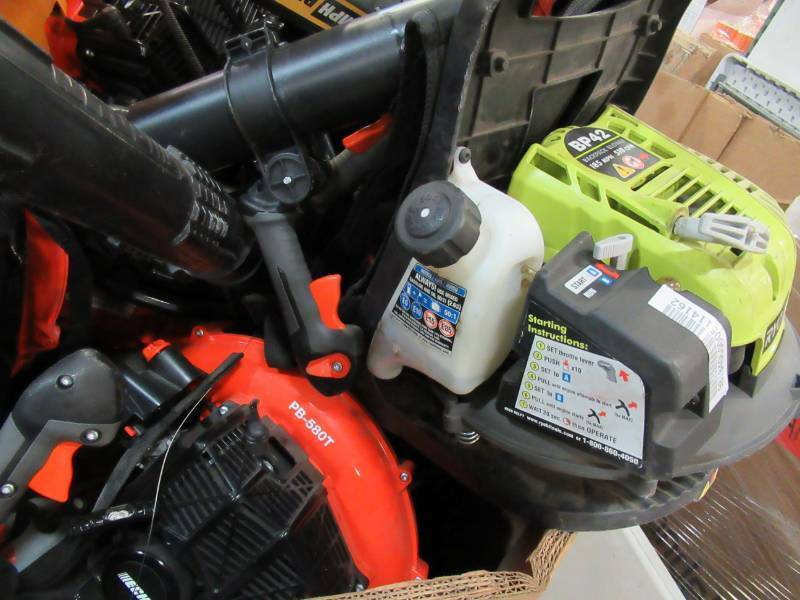 These items could be missing parts, need Minor or Major repair, or just Gas and Oil. 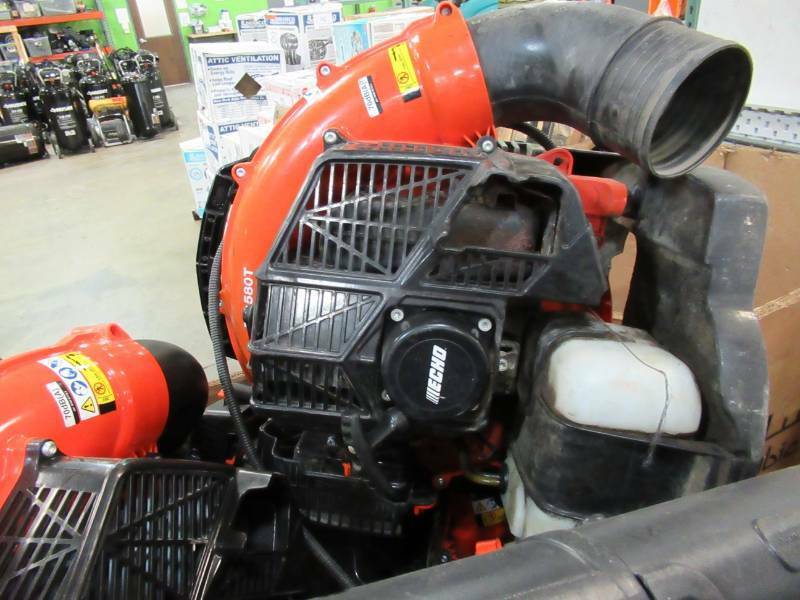 These units are sold as-is for parts or restore and are intended for those who are familiar with small engine repair and outdoor power equipment. 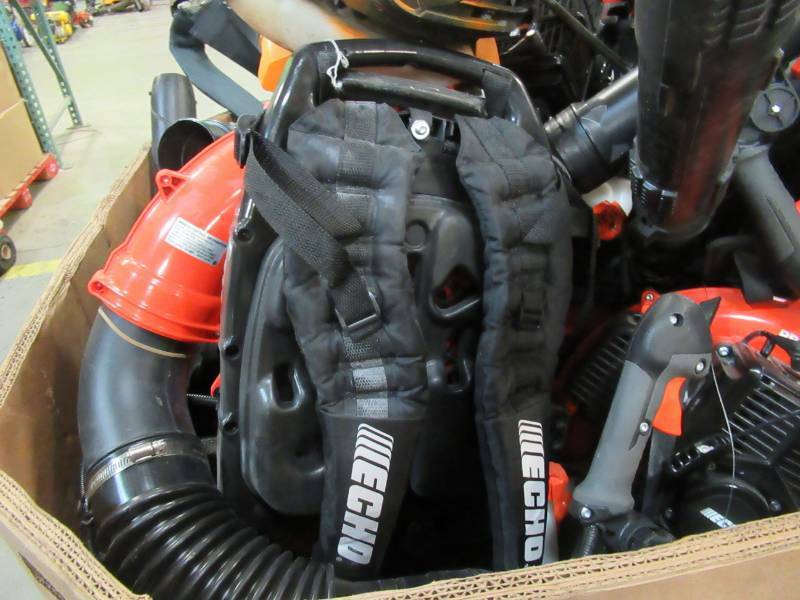 Pallet consists of approximately 10 Backpack Blowers and 10 Hand Held. 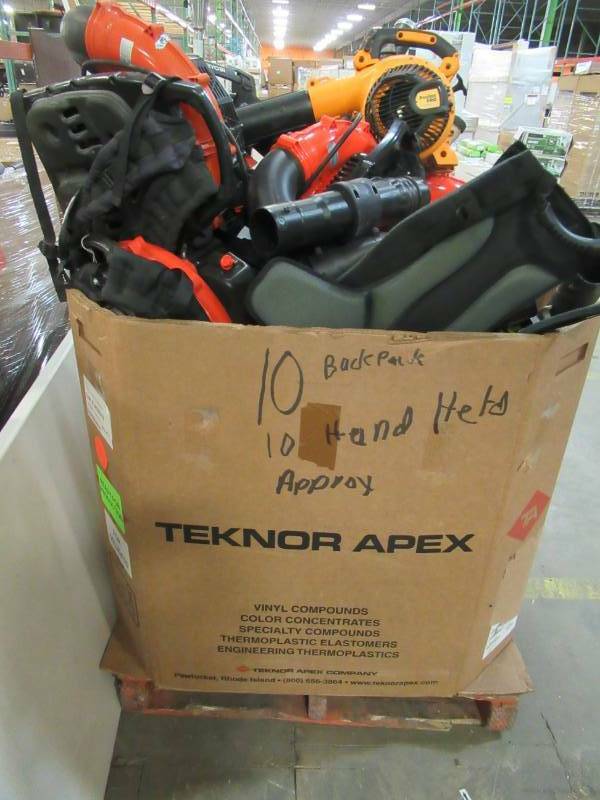 Please inspect before bidding.